Crescens is a highly experienced financial service professional with far-reaching and extensive knowledge in recruitment, learning & development, organisational development and generalist HR, attained during a progressive career both in global & regional organisations. 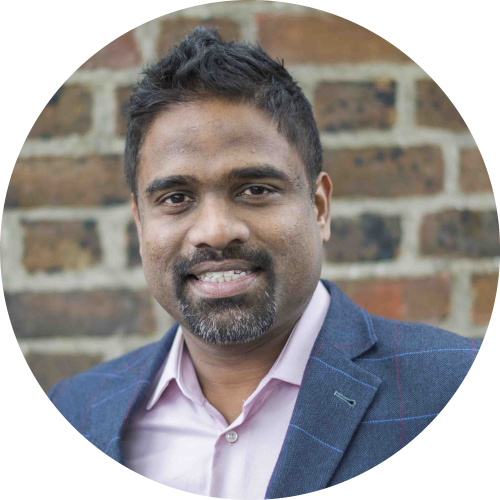 Crescens has over 15 years’ experience within the insurance industry, he started his career as a sales consultant in 2002 with Zurich Financial Services and quickly moved to the training team where he found his passion for working to develop people. Crescens’ ethos is not to look for the finished product in his employees, but to identify and celebrate the potential each individual has, and help shape their skills and experience through various professional development initiatives. Crescens co-conceived Wiser Academy to offer affordable and relevant training solutions to the UK insurance market. Since the launch of the Academy under Crescens’ leadership the academy have managed to reach out to more than 200+ insurance brokers and have helped over 500+ people attain their professional insurance qualification. Crescens is passionate about learning and development and through Wiser Academy he wishes to change the attitude and mind-set to professional qualification within the insurance industry. He dreams of a day when everyone within the insurance sector is professionally qualified. In his volunteer role as an Apprenticeships Ambassador, Crescens’ supports the government’s objective of promoting apprenticeships to businesses in England. Fact: Outside of work Crescens enjoys photography.